We are much more then our name implies. Ingleton Sheet Metal Ltd. was incorporated in 1988 and we are located on one of Sudbury's major arteries. We offer 24 hour emergency service and specialize in Residential, Commercial and Industrial Heating, Ventilation and Air Conditioning. All of our employees are fully licensed. 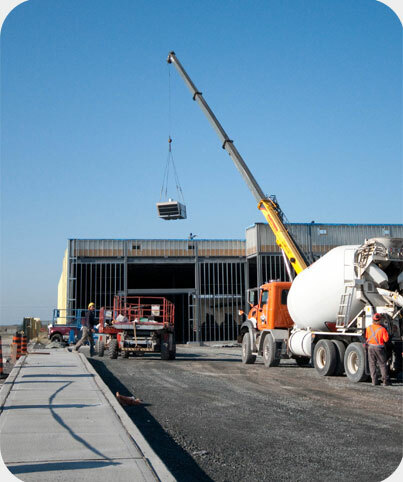 Let us give you a quote on your new construction project or repairs to your existing equipment. Ingleton Sheet metal is a member of the Sudbury Construction Association, a licensed Sudbury Heating Contractor and a member of the Technical Safety Standards Association. Majestic Direct Vent Gas Fireplaces bring beauty to your home while saving both space and money. Combined with it's great looks and installation flexibility, it's a great addition to any room, or any home. A gas hot water heater will quickly supply your hot water needs and help save you money. Come in and see us to select the fireplace or other gas appliance that is right for your home. Our fully licensed and knowledgeable staff will help you make the right decision for your home based on your budget. right air-exchanger for you home. Advanced ComfortLink II communications technology allows the XC95m to configure itself for optimal performance year after year. Add the Telephone Access Module (TAM) to get alerts sent to your phone, and even adjust your settings remotely, whenever you like. With its fully modulating capability, you can achieve up to a 95% AFUE (annual fuel utilization efficiency). We have many other models available to suit your needs. Trane founder Reuben Trane became an air conditioning pioneer in 1931. And to this day, every comfort system Trane makes features the durability and reliability that are the hallmarks of our products. More comfort, more efficiency no matter what size your home is. Trane offers a complete line of digital, programmable and non-programmable thermostats to meet your needs. Each has been designed to maximize the performance of Trane’s heating and air conditioning systems with reliable, accurate temperature control. They’re remarkably easy to use, and they’re also easy on the eye. With an attractive, streamlined design, our thermostats will fit beautifully into any home’s décor. Ingleton Sheet Metal can help you select the model that’s right for your system and your lifestyle. The breakthrough Trane CleanEffects™ air filtration system can remove up to 99.98% percent of airborne allergens from your home’s filtered air. Also, for many families, a whole home humidifier not only provides the right amount of moisture for total comfort, it can help to keep irritating airborne particles from circulating as easily. Your central air conditioning system consists of two main parts—an outdoor unit and an indoor unit, or air handler. The air handler is an important part of your air conditioning equipment. Its job is to effectively circulate conditioned air throughout your home. When matched with a heat pump, it circulates both cool and hot air, depending on the season. With properly sized Trane air handlers, your family has the right amount of clean, comfortable air all year round. when appropriate outdoor unit and coils are used.